If you’re looking for a classic boot with comfort and style, look no further than the Born Anetta. 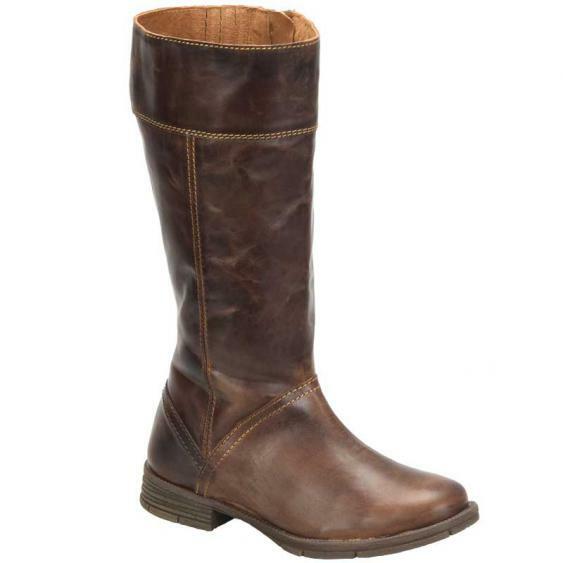 This tall boot is crafted from full grain leather with an interior zipper and hidden goring at the top of the shaft. A microfiber lining offers instant comfort and the footbed of the Anetta is made from latex and is microfiber covered for support and cushioning. Opanka construction offers a flexible and lightweight step and the textured outsole gives you traction for a secure step. Pair the Born Anetta with tall socks and your favorite skirt for a look that screams “fall”. The Anetta boots are very nice quality. They're comfortable. I like their height. I'm 5'9" and they don't go all the way up to my knee. It sort of lengthens me out. They looked like they would be too pinched around the ankle or too big in the shaft, but they are just right. I'm a true 8.5 and these are a little snug, but not tight. They are nice and shiny in the shoe area and more rugged in the leg. Very nice!